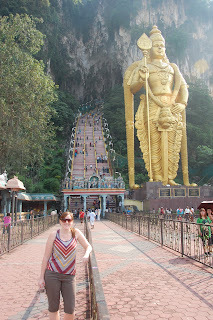 After ditching Singapore we crossed over a bridge to the peninsular portion of Malaysia. 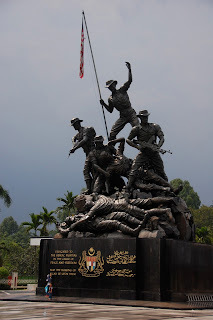 Just fyi, Malaysia is a country that is split between two areas: the southern peninsula of southeast Asia, below Thailand, and another portion on the island of Borneo to the east. At any rate, all I will say is that we had one of the longest, most frustrating border crossings that we've ever experienced. We had a driver take us across, but we had to get out with our bags to go through customs both leaving Singapore and entering Malaysia. Leaving Singapore was busy, but it was nothing compared to entering Malaysia. 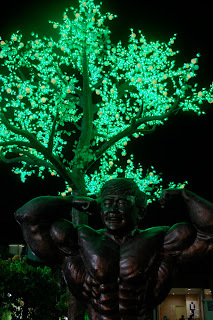 Thousands of people were coming by bus, private transport and even by foot for the holiday weekend and I would never choose to do it the same way again. There were dozens of immigration counters open, but they were clearly getting paid by the hour rather than by the number of processed papers and of course we chose the one line that was twice as slow as the rest! It literally took an hour and a half of standing in line to get processed before jumping back into the car in traffic. All-in-all we were about 4 hours behind schedule by the time we arrive in Johor Bahru. Upon entering Malaysia we were able to stop by and tour a traditional Malay house. One of the big features of these is that they are built without the use of nails. After a long day of traveling we spent our first night exploring the town of Melaka, which is known for its local "Nonya" food (a mix of Chinese and Malay food - not both, but a true mixture) as well as the Jonker Street walk and night market. In Melaka you could walk or be driven in style. View of the Melaka River with a few bars along the banks. The highlight of Melaka would have to be the Jonker Street walk that takes you past tons of food and craft/cheap crap vendors. These were some sort of mini omelets or pancakes (can't remember which) that looked and smelled amazing. 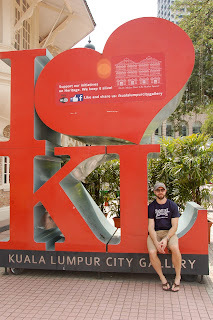 After leaving Melaka we continued north to the capital city of Kuala Lumpur. 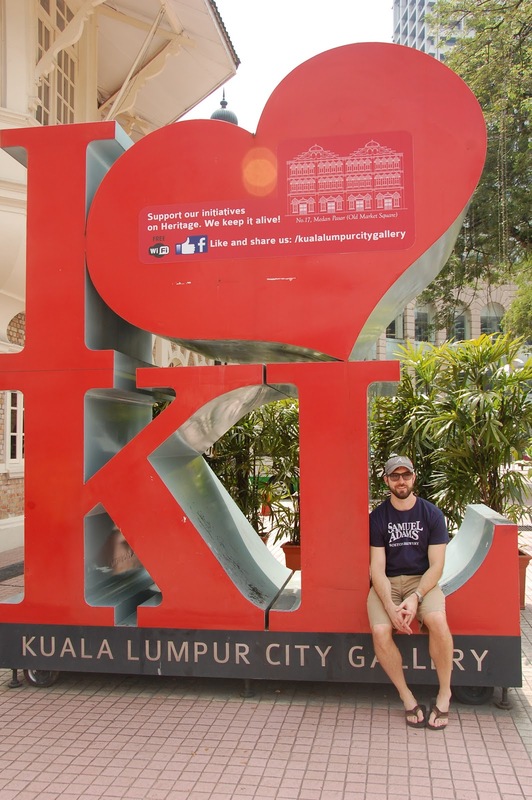 We stayed a couple of nights and saw a few of the sights, including: the national museum, the old and new royal palaces, the national monument and of course.....the Petronas Towers. Malaysia's national flower - the Hibiscus rosa sinensis or "Bunga Raya" as it's locally known. 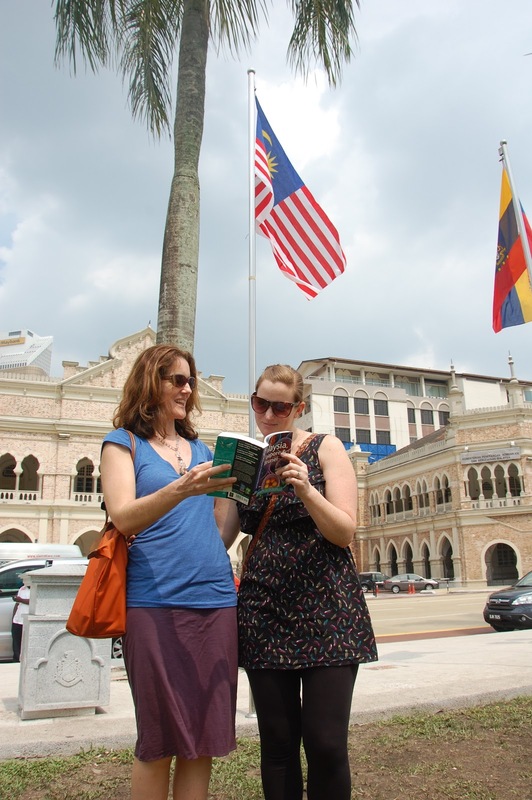 I think we took this outside of the old royal palace. Marisa and Jessica kept our facts straight since our first tour guide was a let-down. 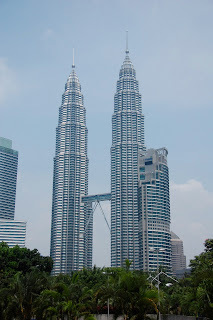 Nice view of some government building and the Petronas Towers in the background taken from one of the central parks. This may be (definitely is) a stereotype, but Asian tourists tend to: A. take too many photos of seemingly irrelevant things and B. take pictures with absolutely ridiculous poses, sometimes trying to imitate modeling poses or "Glamour Shots". Here we have Exhibit A, a woman who is taking a wonderful portrait on the slightly wet lawn of this park, resting on her belly, legs raised and the signature double-peace sign. It is customary now for her traveling partner to try and top this pose at the next sight. Good luck! 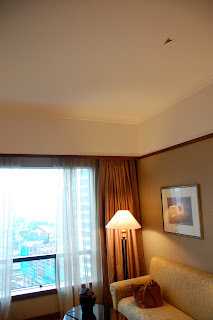 One interesting thing you find while traveling in Muslim countries is that the hotel rooms will typically include a kiblat (Qibla) which points the patron towards Mecca from their location for their prayers. It's just a subtle arrow affixed to some place in the room like the ceiling in this case or in the closet in another case. 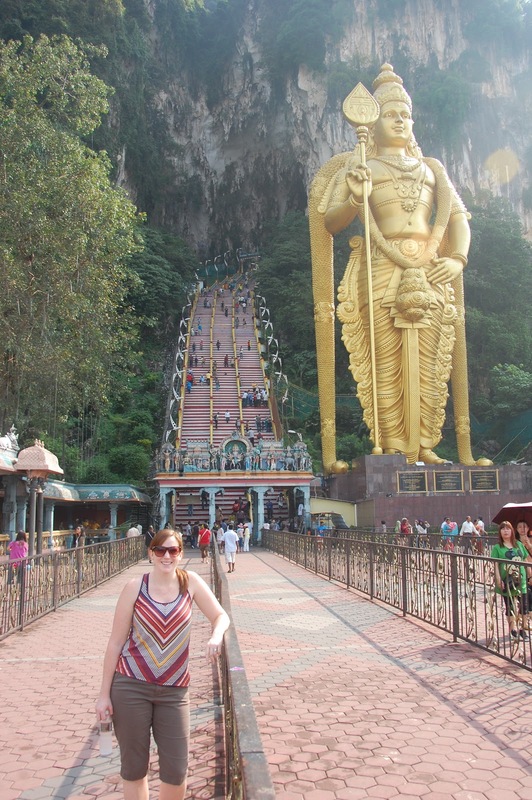 Since Marisa's favorite animals are monkeys, we were excited to visit a nearby Hindu temple which was covered with monkeys. These were "naughty" monkeys to be sure. They weren't intimidated by tourists at all and would hang out near tourists and snag hats and bags from them as they ascended the stairs. This guy is seeing if there's anything worth eating in the bag he just snagged. 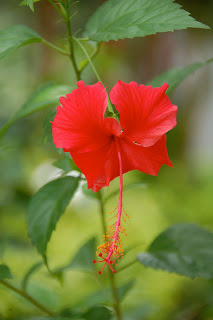 The temple is situated inside a cave that opens up beautifully inside. This girl was either braver or dumber than me (or both) because she was obsessed with being as close as possible to these critters, feeding them and messing with them. While they look cute from a distance, these guys wouldn't hesitate to bare their teeth and growl/hiss at you. I'm just playing scenes from Outbreak in my mind over and over, keeping a safe distance. Then there's the cute ones that snag cans of juice and turn it up with two hands just like a little child. She liked it so much that it's literally dripping off of her face. We stopped by a traditional Batik shop where they make these garments that can be worn in several different ways. Marisa served as the model for the demonstration. 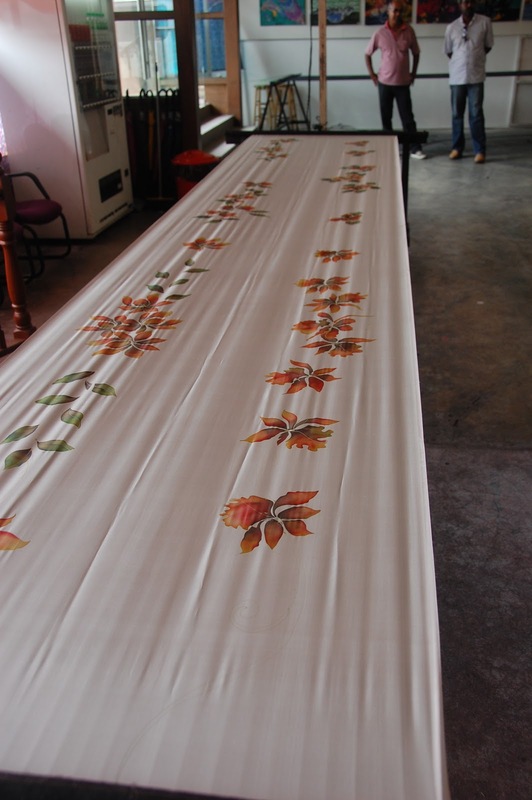 The designs are unique and each one is hand-painted on silk like this one that is drying. After the Batik shop we had a quick tour of a pewter factory, that used to be a major industry in Malaysia due their large deposits of tin. The museum was interesting, showing early uses of tin as money. 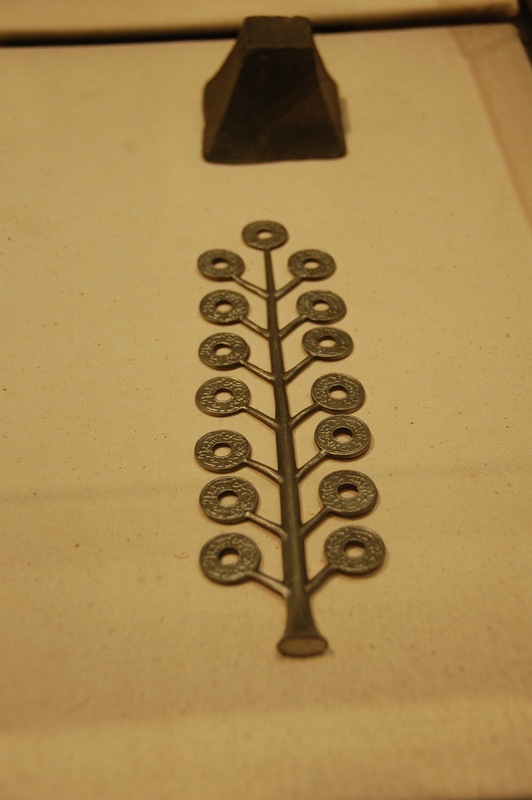 Here we have a "money tree" where people could simply twist off the amount of coins that they needed. 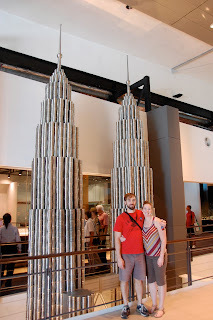 A scaled model of the Petronas Towers made from pewter cups. We were able to try our hand at making a hammered finish on these cylinders. It's very difficult to keep lines straight and there are people that knock these out for a living. Royal Selangor is the pewter company and this is apparently a Guinness world record holder for the largest pewter beer mug. Not sure how much it can hold though, but it would be several batches of home brew. 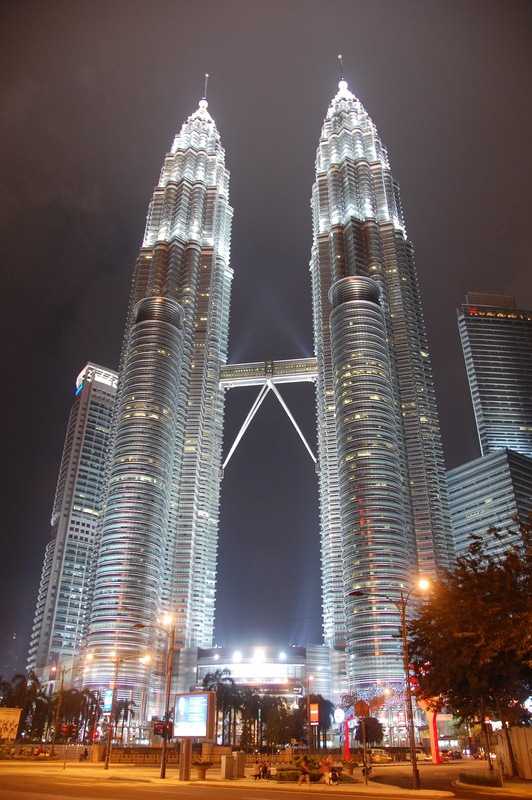 Petronas Towers by day - once the world's tallest two towers (452 m) from 1998 until beaten by Taipei 101 in 2004. They are currently the 7th and 8th tallest buildings in the world, just behind the ICC building in Hong Kong. Malaysia's national monument, commemorating those who died during Malaysia's struggle for freedom during WWII and the Malayan Emergency. 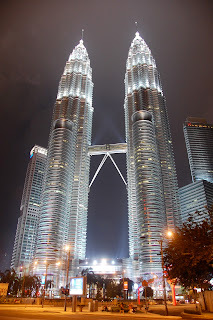 Petronas Towers by night. They are quite impressive. 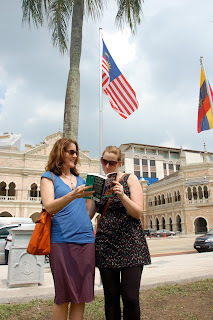 Melaka and KL were a nice introduction to Malaysia. We found that K.L. felt pretty modern, but more in a commercial mall type of way. With the climate as hot and humid as it is, I don't think that we'd want to live there. However, it is a major Asian city that should be seen. 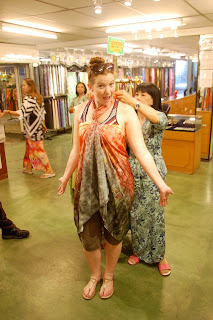 After this we headed up into the cooler climate of the Cameron Highlands to see some tea plantations.